Lockhart's Nevermore Matte Paste is a collaboration with Mike Smith of ModernManTv. This product provides a high hold and a truly matte finish. This paste also offers a lot of volume and texture. They also put a lot of effort to develop a special fragrance for this product. The top notes contain lemon, pineapple and bergamot. The middle notes are rose, jasmine, orris and patchouli while the base notes smell like oakmoss, amber, ambroxan and vanilla. You don't need a lot of the Lockhart's Nevermore Matte Paste. Rub a little bit between hands and apply in towel dried hair. Blow-dry your hair into shape and add a bit more for the styling if you deem that necessary. You're reviewing: Lockhart's Nevermore Matte Paste 104 gr. Water, Kaolin, Ceteareth 20, PEG 40 Hydrogenated Castor Oil, Beeswax, Microcrystalline Wax, Bentonite, PEG 7 Glyceryl Cocoate, Polysorbate 20, Phenoxyethanol, Sorbic Acid, Acrylates C10-30 alkyl methacrylate copolymer, fragrance, rice bran oil & cucumber extract. 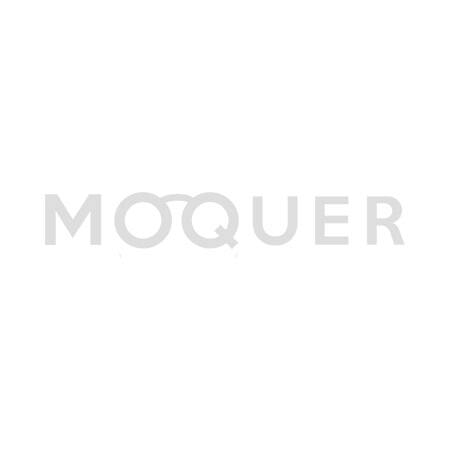 Moquer Looks With Lockhart's Nevermore Matte Paste 104 gr. Join our competition!